Home Defence Review Will China Collapse? 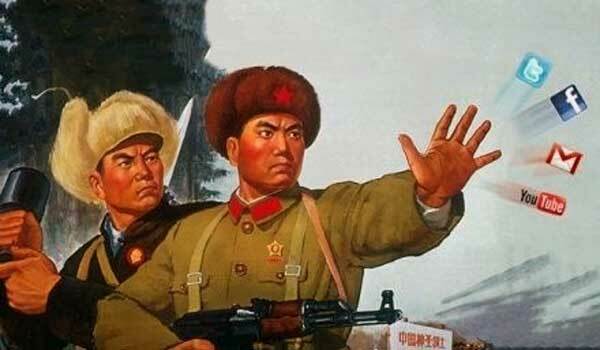 …The endgame of communist rule in China has begun, and Xi Jinping’s ruthless measures are only bringing the country closer to a breaking point. It is what David Shambaugh, a Chinese ‘expert’, who is director of the China Policy Program at George Washington University, has done in his Saturday Essay in The Wall Street Journal (WSJ). ‘Coming Chinese Crackup’ was certainly read, twitted and re-twitted by lakhs of people; it was prominently circulated on social media by all those with an interest in the ‘cracking’ of China. Wide circulation was probably the objective of the Journal; that way, Shambaugh’s piece has been a success, though it may not automatically make China crack up. Unfortunately for the author and those who dream of the Dragon’s demise (I am one of them), it is only a point of view and it is doubtful if the events will unfold as forecast by the American ‘expert’. …Despite appearances, China’s political system is badly broken, and nobody knows it better than the Communist Party itself. Bishop sees a new surge of ‘coming collapse of China’ predictions. Matt O’Brien’s article ‘Is China’s 1929 moment coming?’ in the Washington Post is another one. Speaking about the National People’s Congress (NPC) which recently started their deliberation in Beijing, Shambaugh writes: “Officials and citizens alike know that they are supposed to conform to these rituals, participating cheerfully and parroting back official slogans.” This might be true, but it does not mean that it is the end of China. It reminds me of another China ‘expert’ who some 15 years ago, became world-famous by predicting ‘the coming collapse of China’. Since then the ‘expert’ continues to prophesy the same thing, using the same arguments, just changing figures and scenarios from time to time. The author does not raise the question: who will benefit from such an implosion or explosion? Certainly not the United States or Europe which are so intimately linked, financially and otherwise, with ‘Communist’ China. One can understand that the last comprehensive is not palatable to the US (and the WSJ), but it is not a proof of ‘collapse’. To me, the instability of the so-called ‘minorities’ areas (Tibet, Xinjiang, etc.) are the serious issues, wrongly handled by Beijing. But ultimately, nobody knows if China will crack up, collapse or simply reform soon. The last would be the best alternative for China and the rest of the world. Previous articleIndia-Pakistan: A dialogue process or failed diplomacy?